I cannot tell you how excited to share this dessert. I was watching the Netflix series, Fat Salt Acid Heat and was so inspired for this sweet treat, I knew I had to make it immediately! I have to say it did not disappoint. 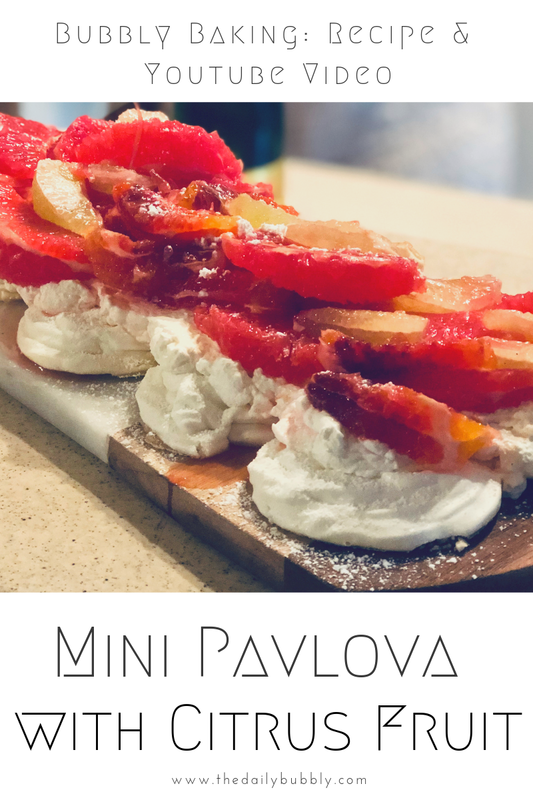 The Pavlova is the kind of dessert you can make for any Holiday occasion. So grab a glass of bubbly and check out my latest video. Until next time Pop Fizz Clink Cheers! Cava, Penedes, Spain- This Spanish Cava boasts impressive balance between its flavors of pear, white flowers, and zesty citrus and its firm, crisp finish. Dry and delicate, this is a delicious sparkling wine.